Blue with words like "Yippee!" 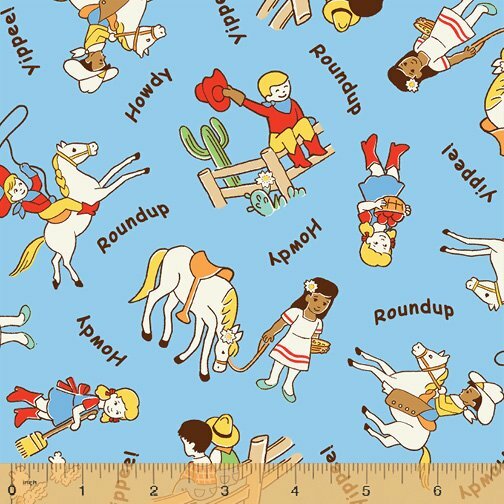 "Roundup" and "Howdy". Also scenes of little children in the Wild West. From the Storybook Ranch collection by Whistler Studios for Windham Fabrics. 100% cotton. 44"-45" wide.